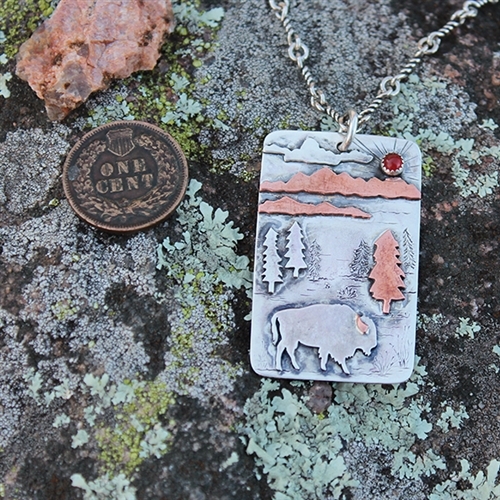 This sterling silver scene pendant features a hand-cut sterling buffalo with a copper horn. The sun, a carnelian stone, is peeking up from behind the copper mountains. This is one of a kind! 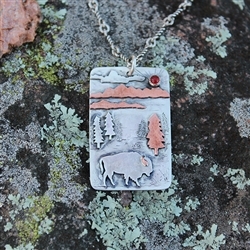 The pendant is 1 1/2" tall x 15/16" wide.